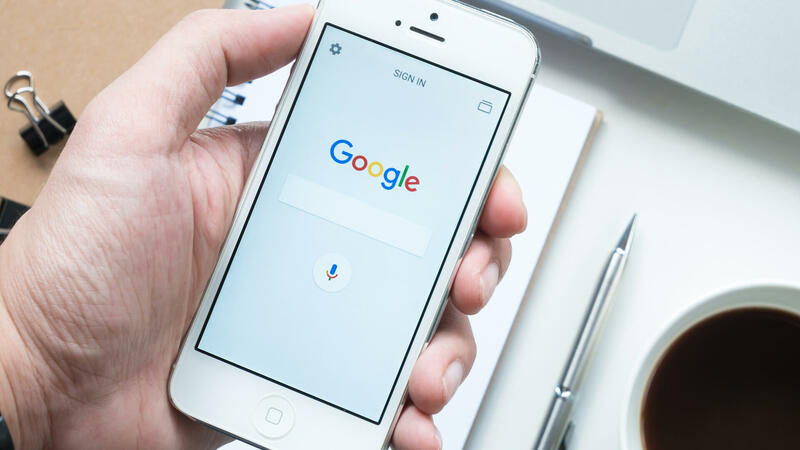 Google announced on Monday a couple of integrations to extend Google Search functionality to more apps on iOS. They include extensions for iMessage and browser apps such as Safari. First, a look at the new iMessage extension, which allows users to search Google and share results with those they’re chatting with in iMessage. To activate the new functionality, click on the App Store icon next to the message field in an iMessage chat to bring up the iMessage apps drawer. Then select the Google app icon to see the options below (You’ll need to have the app installed on your iPhone). You can search or click one of the shortcut buttons to bring up related results. Clicking on the “Food” icon, for example, will bring up a list of cards for nearby restaurants. Clicking “Share” in any of the cards will add the listing to the iMessage chat. Another update is to add the ability to find related results and articles when reading an article in any browser on the iPhone, including Safari. Enable the Google Search action extension in the share menu, then tap on it to bring up related results from Google as shown in the GIF below. This is an extension of the discovery capability that Google added to its iOS app last fall (It appears to still not be live for everyone, however). The native app version is much more elegant, integrated directly in the footer menu. Simply swipe up to get a carousel of related articles. These updates support accessing Google Search from within other apps, much like its Gboard mobile keyboard also does. All of these moves extend Google Search’s tentacles to the greater mobile app ecosystem.